We serve the freshest ingredients by sourcing our chicken, eggs, and milk locally year round and fruits and vegetables while they’re in season. Our chicken and beef are 100% hormone and antibiotic free. Monterey jack and cheddar cheese, jalapeños, tomatoes and oregano, served with warm tortilla chips. Made fresh daily, with ripe avocados, tomatoes and and Juan’s secret spices, served with warm tortilla chips. A large flour tortilla stuffed with cheddar and jack cheeses then grilled crispy. Served with sour cream & pico de gallo. 3 flour tortillas filled with pulled chicken, onion, jalapeños, and mozzarella fried crispy served with Southwest slaw and chunky salsa. Shredded beef rolled with potatoes and cheese cooked on a flat-top grill. Served with sour cream, guacamole & pico de gallo. Marinated steak on a bed of creamed corn, drizzled with chipotle bourbon sauce. 5 wings tossed in Juan’s delicious zesty sauce. Served with coleslaw, choice of bleu cheese or ranch dressing. Celery available upon request. Crisp tortilla chips with Chili con Queso, cheddar and jack cheeses, refried beans, sour cream, pico de gallo & guacamole sauce. Tender calamari rings lightly crusted, cooked until golden brown, drizzled with a lemon garlic aioli sauce. Six large gulf shrimp marinated in garlic served with chipotle dipping sauce. A trio of our calamari, beef taquitos and mojo de ajo shrimp with chipotle dipping sauce. Slow cooked black beans with Southwest spices topped with a dollop of sour cream — a Coyote classic!! Tender pieces of chicken simmered in a hearty tomato tortilla broth with corn, chilies and cilantro, topped with sour cream. Roasted red pepper, onion, cream, and Mexican spices puréed into a southwest favorite. “Texas Style” ground beef, onions, peppers, and spices, topped with cheeses, pico de gallo and sour cream. Tortillas upon request. Crispy flour tortilla filled with our fajita steak on a bed of lettuce with sauteed onions, peppers, rice, refried beans, pico de gallo, guacamole, cheese and sour cream. Crispy flour tortilla topped with refried beans, pulled seasoned chicken, shredded lettuce, cheese, pico de gallo, chunky salsa, guacamole and sour cream. Mixed greens, corn, tomatoes, cheese and black beans tossed with zesty balsamic vinaigrette. Romaine lettuce, chopped tomatoes, cucumbers, corn, carrots and queso fresco with chili-lime vinaigrette. Romaine lettuce, chopped tomatoes, queso fresco, grilled sweet potatoes and avocado with chipotle-honey lime dressing. Pecan encrusted chicken over mixed greens, tomatoes, mandarin oranges, dried cranberries, in honey-dijon dressing, with blue cheese crumbles. Fresh baby spinach tossed in champagne vinaigrette with goat cheese, dried cranberries, julienned green apples, sweet potatoes, cherry tomatoes, topped with cilantro pesto chicken. Chilled marinated shrimp, fresh lump crab meat with mango, pineapple, tomatoes, mixed greens and pumpkin seeds in cilantro-honey lime dressing. Grilled salmon with lemon aioli sauce over mixed greens, corn, tomatoes and cheese tossed in zesty balsamic vinaigrette topped with avocado. 7 oz. ground beef patty topped with melted pepper jack cheese,lettuce,tomato and chipotle dressing on a toasted bun. Grilled chicken breast with cranberry salsa, chipotle dressing, cheddar and jack cheeses, lettuce and tomatoes wrapped in a large tomato tortilla. Grilled portobello mushrooms, grilled peppers and onions, mixed cheeses, lettuce and tomatoes served in a large tomato tortilla. Grilled steak, peppers and onions, cheddar and jack cheeses, lettuce, tomato and chipotle dressing wrapped in a large flour tortilla. Shredded pork tossed in an ancho-barbecoa sauce with shredded lettuce, mixed cheeses and sour cream wrapped in a large flour tortilla. Grilled tilapia marinated in soy garlic sauce and wrapped in an Old Bay tortilla with lettuce, tomato, avocado and chipotle-diabla sauce. Meat marinated in a zesty chipotle chili marinade with lettuce, cheese, pico de gallo and sour cream. Served with red rice and black or refried beans. Request corn tortillas. Two flour tortillas stuffed with grilled tilapia, chipotle dressing, lettuce, pico de gallo and avocado. Served with black beans, green rice and sour cream. Two flour tortillas stuffed with crispy shrimp tossed in zesty BBQ sauce, coleslaw, chipotle mayo, and avocado slices. Served with side of our Southwest slaw. Two corn tortillas stuffed with cheeses and onions, smothered in ranchera sauce and cheese. Served with guacamole, sour cream, black beans and green rice. Two corn tortillas stuffed with meat and topped with cheeses, smothered in tomatillo and ancho sauce. Served with guacamole, sour cream, refried beans and red rice. Two corn tortillas stuffed with sautéed shrimp, crab meat, onions and peppers. Topped with ranchera sauce & cheese. Served with guacamole, sour cream, black beans and green rice. Large flour tortilla stuffed with slow-cooked chicken or steak, refried beans or black beans, and plenty of melted cheese, topped with ranchera sauce and cheese. Served with red rice, guacamole and sour cream. Large flour tortilla stuffed with grilled chicken, chorizo, sauteed onions, peppers, and refried beans, topped with ranchera sauce and cheese. Served with red rice, guacamole and sour cream. Zucchini, squash, onion, peppers, black beans & cheeses stuffed in a flour tortilla, topped with tomatillo sauce. Served with green rice, guacamole and sour cream. Black or refried beans stuffed in flour tortilla, topped with cheeses and tomatillo sauce. Served with green rice, guacamole and sour cream. Our fajitas are marinated in a zesty chipotle chili marinade, then sautéed with onions and peppers served sizzling hot with cheese, guacamole, pico de gallo, sour cream and three flour tortillas. Served with red rice and your choice of beans. Flour tortilla stuffed with cheeses and your choice of filling, then grilled on a flat-top until golden brown. Served with guacamole, chunky salsa, sour cream, red or green rice and black or refried beans. Vanilla ice cream rolled in toasted corn flakes. Served with caramelo sauce and fresh whipped cream. Dusted in cinnamon sugar served with choice of caramelo sauce or chocolate sauce. One scoop of cinnamon ice cream nestled on a warm ibarra chocolate brownie. Topped with hot fudge and whipped cream. Featuring layers of yellow cake saturated in cream, milk, and condensed milk. Our own housemade cheesecake rolled in a flour tortilla fried golden brown and dusted in cinnamon sugar with caramelo sauce. Traditional Mexican puff pastries sprinkled with powered sugar and drizzled with honey. One scoop of cinnamon ice cream nestled on a warm Ibarria chocolate brownie. Topped with hot fudge and whipped cream. Dusted in cinnamon sugar with caramelo sauce. Grilled flank steak, sautéed onions, peppers, mixed cheeses in an omelette topped with Southwest sour cream, sliced avocado. Served with black bean puree. Made with three eggs, avocado, chorizo, tomatoes and cheddar-jack cheese. Served with Coyote potatoes. Made with three eggs, crab meat, tomatoes, scallions and cheese. Topped with avocado and ranchera sauce over mixed greens and tossed in a chili-lime vinaigrette. Made with three eggs, onions, peppers, zucchini and melted cheese. Served with Coyote potatoes. Two pieces of Texas Toast dusted with powdered sugar. Flour tortilla stuffed with scrambled eggs and cheese and melted on a flat-top grill. Fresh ham, queso fresco and two flour tortillas topped with two poached eggs covered with a chipotle-hollandaise sauce. Flour tortilla stuffed with bacon, eggs and cheese. Served with Coyote potatoes, guacamole and chunky salsa. With chorizo, scrambled eggs, Coyote potatoes and cheddar-jack cheese. Wrapped in a flour tortilla and topped with ranchera sauce and melted cheese. Served with sour cream and guacamole. Three scrambled eggs, red onions, tomatoes, jalapenos, garlic, crispy bacon, melted cheeses and two tortillas plus rice and beans. Three pieces of Texas Toast dusted with powdered sugar and served with honey pecan butter. Three scrambled eggs with Mexican sausage and melted cheese. Served with rice and beans and two flour or corn tortillas. Two flour tortillas filled with scrambled eggs, chorizo, cheese, potatoes topped with sour cream and pico de gallo. Served with black beans and red rice. Two corn tortilla shells filled with two eggs over medium, bacon, black beans and red rice topped with ranchera sauce, mixed cheeses, sour cream and pico de gallo. Two fried eggs served with our famous Carne Asada with ranchera sauce. Served with black beans, red rice and two flour tortillas. Chunks of tender slow roasted pork with chiles, oranges and onions. Served with refried beans, red rice, warm tortillas, sour cream and pico de gallo. Poblano pepper stuffed with chicken, rice, sautéed onions, corn, peas, carrots and potatoes. Topped with a zesty ranchera sauce, sour cream, pico and melted cheese. Served over black beans. Sauteed chicken breast, zucchini, yellow squash, red onion and diced pico de gallo in a chipotle cream sauce. Served over green rice. Steak, onions, peppers and garlic sautéed in a Southwest cream sauce, sprinkled with parmesan cheese, served with black beans and green rice and two tortillas. Grilled flank steak marinated in Mexican spices. Served with red rice, refried beans, two flour tortillas and a side salad — a Mexican classic! A chicken enchilada and our famous carne asada plated with red rice, refried beans, sour cream, guacamole, and pico de gallo. Shredded chicken and chorizo, peppers, onions, corn, white mushrooms and penne pasta, smothered in red pepper cream sauce and topped with scallions and cotija cheese. Grilled chicken, chorizo and a shrimp skewer, served over red rice and topped with pepino gallo, served with two tortillas and black beans. Crispy corn tortilla layered between grilled steak, shrimp, sautéed onions, and peppers. Covered with ranchera sauce and melted cheeses and pico de gallo. Served with sour cream, guacamole sauce, red rice and black beans. Eight jumbo shrimp served over green rice and topped with our special orange tequilla sauce. Served with fresh veggies. Served over green rice and veggies. 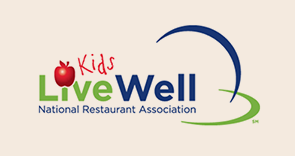 We offer healthy kids menu items: Grilled Chicken Tenders instead of Fried Chicken Tenders and Fruit / Veggies instead of Fries. Served with lettuce & cheese. Choice of rice & beans or fries. Like grilled cheese, only better! Choice of chicken, steak or cheese. Served on a bun with mixed cheeses and fries. A large corn tortilla stuffed with cheddar and jack cheeses then grilled crispy. Served with sour cream & pico de gallo. Slow cooked black beans with Southwest spices topped with a dollop of sour cream – a Coyote classic! Tender pieces of chicken simmered in a hearty tomato tortilla broth with corn, chilies and cilantro, topped with sour cream and cilantro! Roasted red peppers, onions, cream and Mexican spices pureed into a southwest favorite. Fajita steak on a bed of lettuce with sauteed onions, peppers, rice, refried beans, pico de gallo, guacamole, cheese and sour cream. Request no tortilla bowl. Refried beans, pulled seasoned chicken, shredded lettuce, cheese, pico de gallo, chunky salsa, guacamole and sour cream. Request no tortilla shell. Our fajitas are marinated in a zesty chipotle chili marinade, then sautéed with onions and peppers served sizzling hot with cheese, guacamole, pico de gallo, and sour cream. Served with red rice and your choice of beans. Request corn tortillas. Two corn tortillas stuffed with cheese and onion, smothered in ranchera sauce and cheese. Served with guacamole, sour cream, black beans and green rice. Two corn tortillas stuffed with sauteed shrimp, crab meat, onions and peppers. Topped with ranchera sauce and cheese. Served with guacamole, sour cream, black beans and green rice. Two tortillas stuffed with grilled tilapia, chipotle dressing, lettuce, pico de gallo and avocado. Served with black beans, green rice and sour cream. Request corn tortillas. Tender slow roasted pork with chiles, oranges and onions. Served with refried beans, red rice, sour cream and pico de gallo. Request corn tortillas. Poblano pepper stuffed with chicken, rice, sauteed onions, corn, peas, carrots and potatoes. Topped with zesty ranchera sauce, sour cream, pico de gallo and melted cheese. Served over black beans. Sauteed chicken breast, zucchini, yellow squash, red onion and diced pico de gallo in chipotle cream sauce. Served over green rice. Steak, onion, peppers and garlic sauteed in Southwest cream sauce, sprinkled with parmesan cheese, served with black beans, green rice and two tortillas. Request corn tortillas. Grilled flank steak marinated in Mexican spices. Served with red rice, refried beans, two tortillas, and a side salad – a Mexican classic! Request corn tortillas. A chicken enchilada and our famous carne asada served with red rice, refried beans, sour cream, guacamole, and pico de gallo. Crispy corn tortilla layered between grilled steak, shrimp, sauteed onions and peppers. Covered with zesty ranchera sauce, melted cheeses and pico de gallo. Served with sour cream, guacamole sauce, red rice and black beans. Eight jumbo shrimp served over green rice with our special orange tequila sauce and fresh veggies. Vanilla ice cream rolled in toasted cornflakes. Served with caramelo sauce and fresh whipped cream. White cheeses, mixed with cherry peppers and mexican spices. Served with chips. Quinoa encrusted cod bites topped with zesty sauce and a tomato jalapeno-cilantro salad. Two blackened salmon tacos with red onion, tomato, and cilantro. Topped with jalapeno-mango puree and avocado. Served with black beans and green rice. Crispy carne asada, grilled chorizo, queso blanco, and refried beans, topped with Roger’s robust red chili sauce, cotija cheese, and garnished with green & pickled onion. Grilled mango infused 1800 Silver made into a delicious margarita rimmed with spices and dried lime. Grilled pineapple infused 1800 Silver made into a fantastic margarita. White wine sangria with pomegranate juice and spices. Refreshing for beautiful spring days. Choose from multiple delivery options!